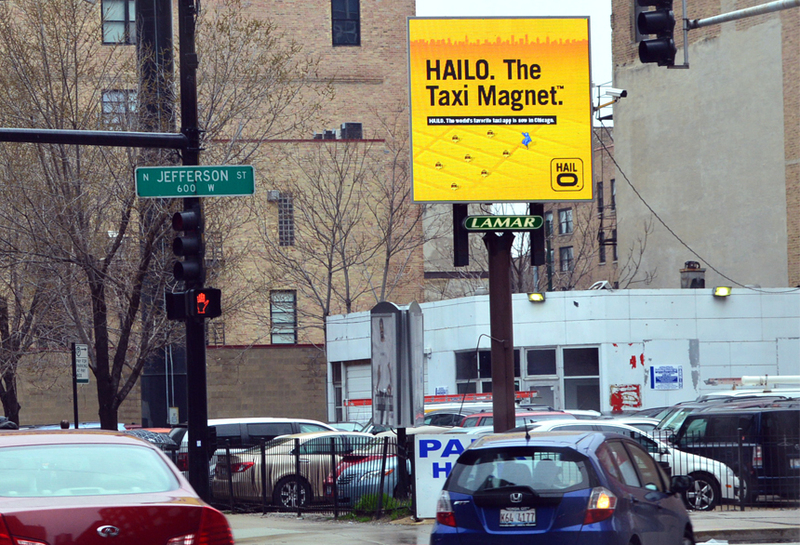 Hailo Taxi’s ran a brand marketing campaign utilizing Lamar digital billboard capabilities in Louisville, Kentucky. This bright creative could not be missed by motorists or pedestrians on this busy metropolitan street corner. The capabilities of Lamar digital made it possible to change on a rotating basis. Keeping consumers engaged and interested in the Advertisement.